Portable Raspberry Pi (V4) #piday #raspberrypi @Raspberry_Pi « Adafruit Industries – Makers, hackers, artists, designers and engineers! The Raspberry Pi. Its a $35 computer the size of a credit card. Being very small, its great for its portability. However, this is usually the problem as it is hard to make it portable. 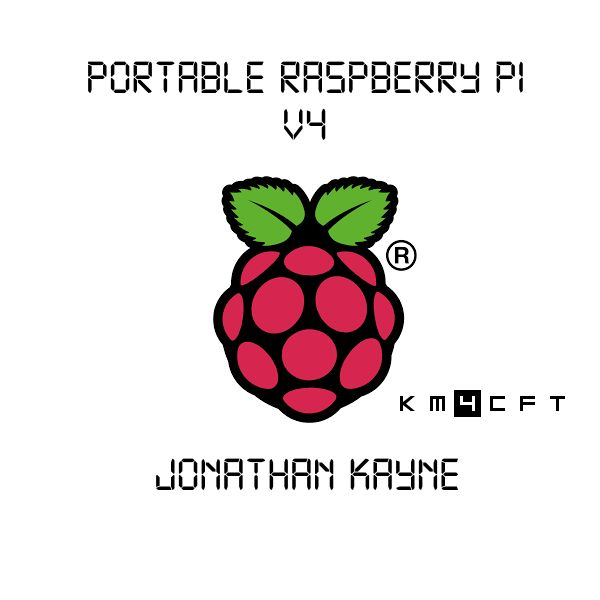 Over the past year and a half, I have worked with my friend (KM4BLG) to create a portable raspberry pi. Recently my High School got a Makerbot Replicator, so I was able to 3D print an enclosure for the new portable raspberry pi. The criteria for my portable raspberry pi was to make the pi, screen, and audio jack fit in one enclosure.